The Natural Daylight LED Flex Lamp helps you see details clearly and colors accurately whether reading in your favorite chair or sewing in your sewing room. 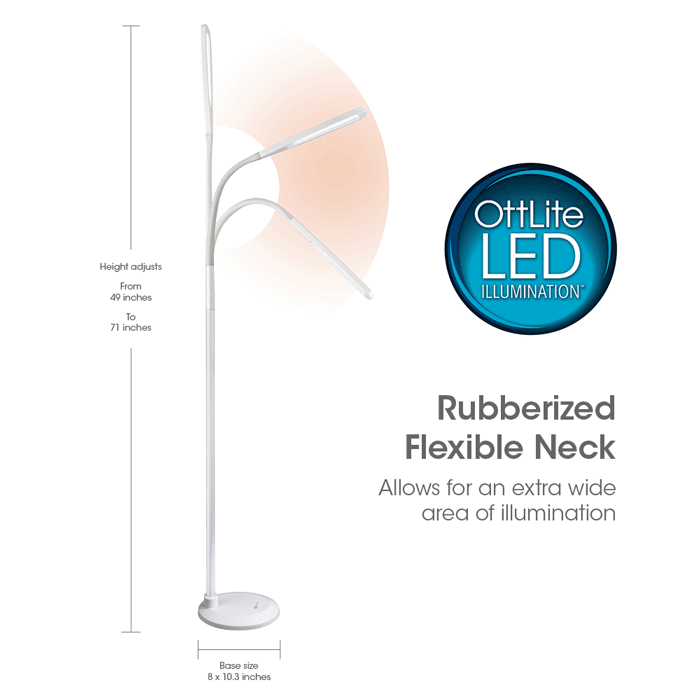 With an expansive 12.5-inch shade and a rubberized flexible neck, you can direct the powerful OttLite Natural Daylight LED Illumination of this touch lamp right where you need it. 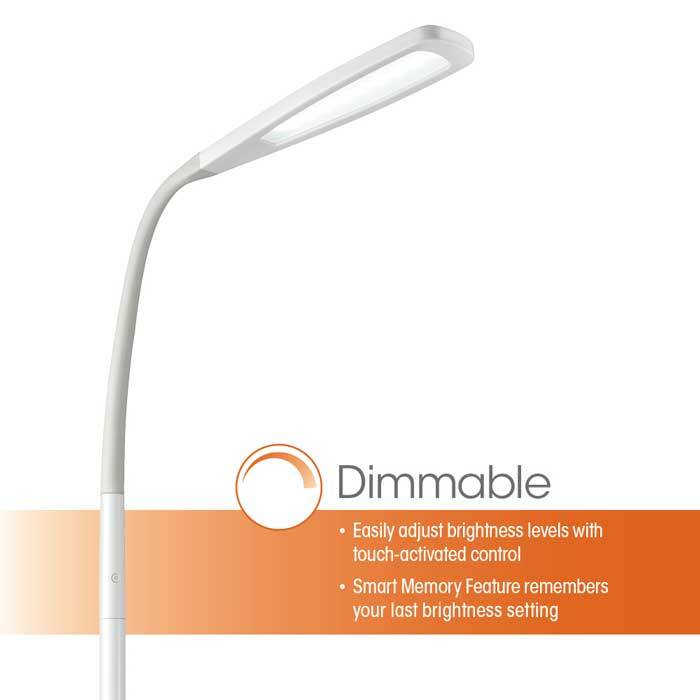 With touch activated controls, you can adjust the brightness levels and the smart memory feature remembers your last brightness setting. 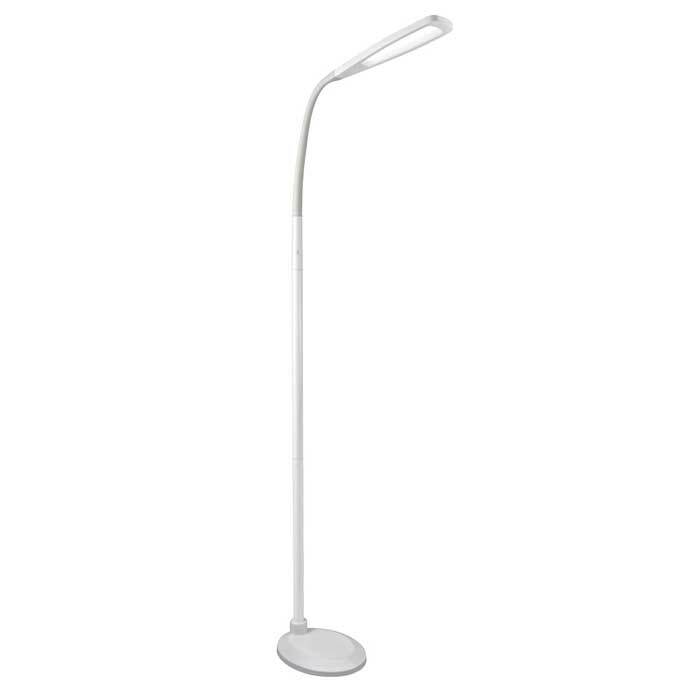 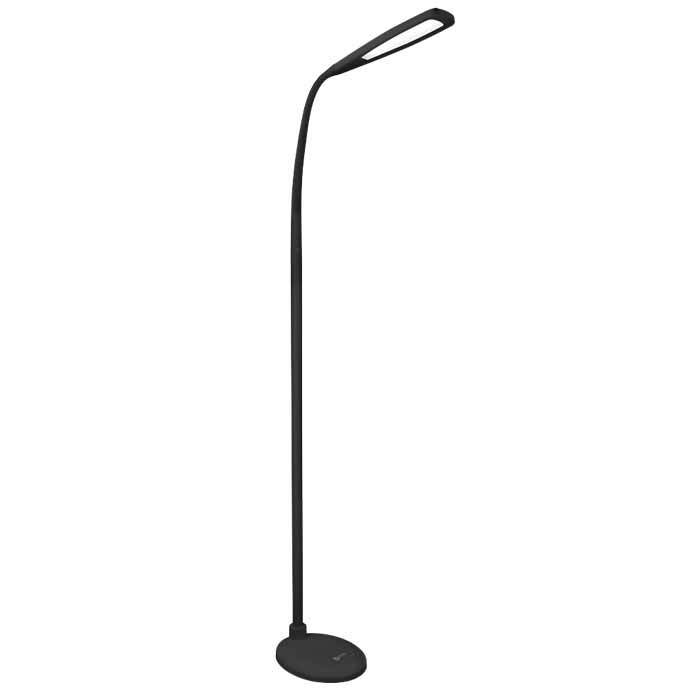 This OttLite LED floor lamp helps you see details clearly and reduces glare & eyestrain so you can do what you love, longer. 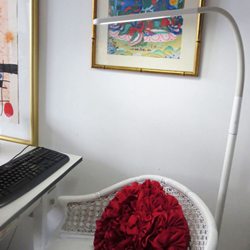 Renee Phillips - "I can use the Warm Light during the day when I want to increase the sunlight coming in while working on my computer. 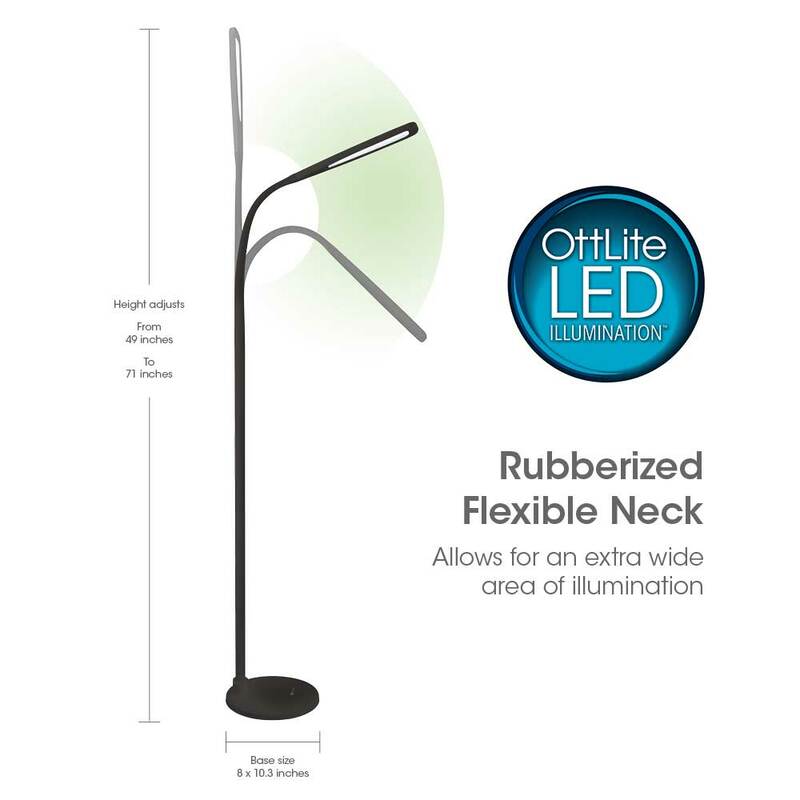 The Cool Light option is great for when I want to see fine details such as when I’m designing a piece of jewelry. 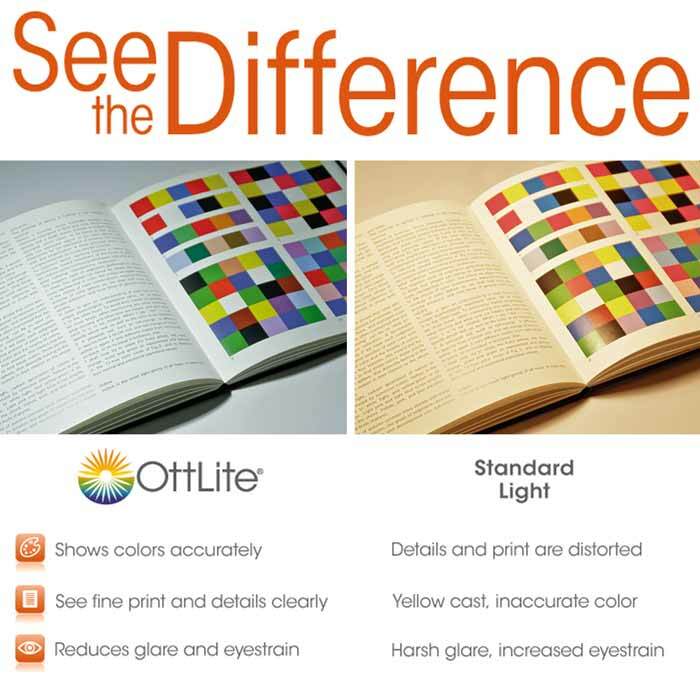 The Natural Daylight option is perfect for when I need to see colors accurately when I’m working on a painting project." 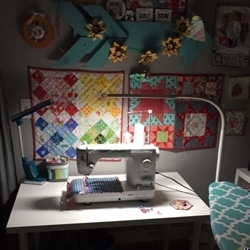 Quilty Obsession - "With two little ones at home, much of my sewing has to happen after bedtime and this floor lamp brightens up my dark sewing corner so much! 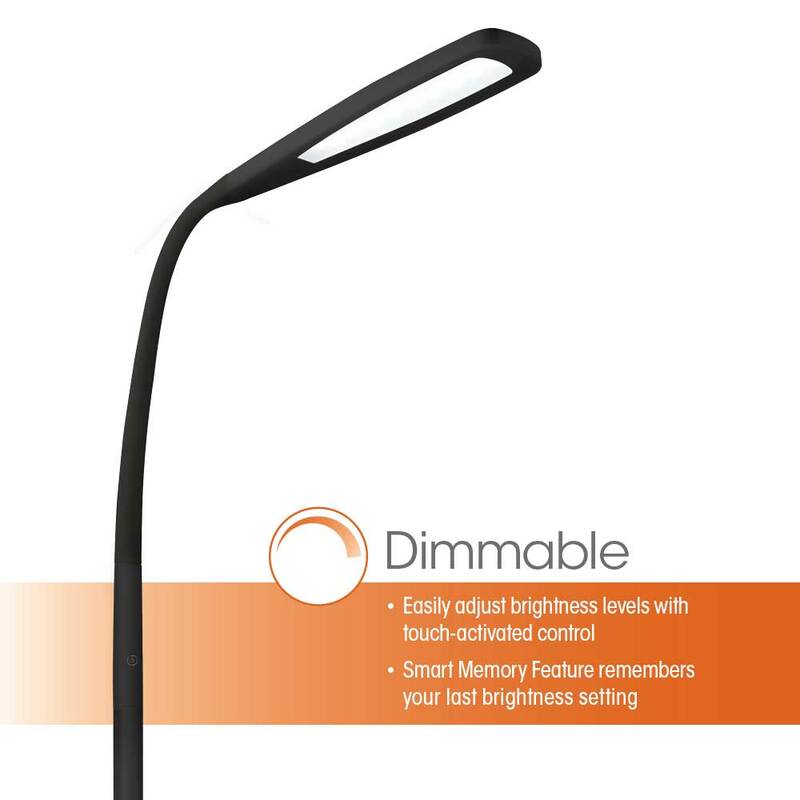 The adjustable neck makes it easy to get the light just where I need it most."